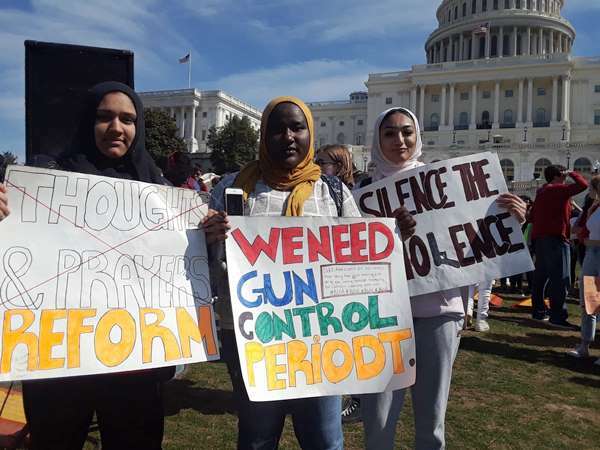 On March 14, 2019 I gathered with hundreds of students in front of the United States Capitol in Washington DC. 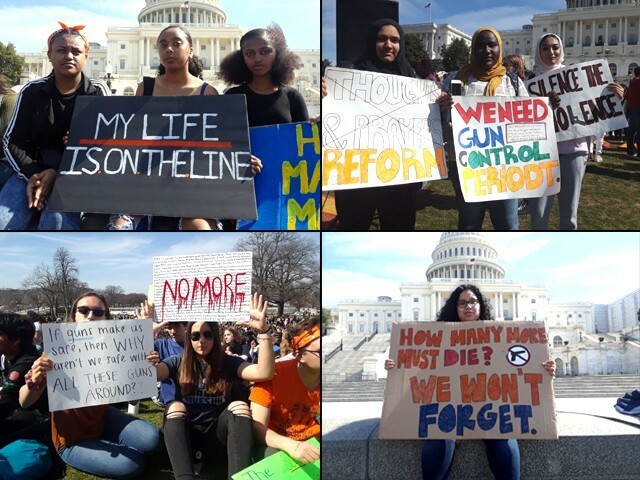 These students had walked out of their classes to join the National School Walkout demanding decisive action against the epidemic of gun violence in the US. A few hours later, a gunman entered two mosques in Christchurch, New Zealand, and shot dead at least 50 worshippers and injured 47 more while live-streaming the massacre. Pakistani exchange student and my cousin, Sabika Sheikh, was killed when a gunman entered her classroom and killed her and nine others at the Santa Fe School in Texas on May 18th of last year. 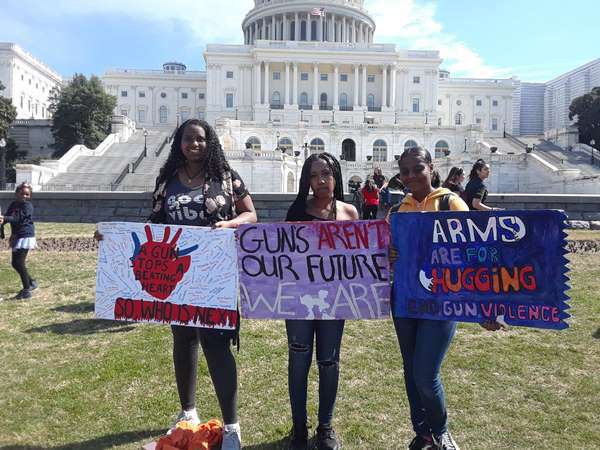 In the past 10 months since the mass shooting that killed Sabika, there have been countless protests and rallies in Washington DC, led by students who are absolutely frustrated by US legislators for their inaction on gun violence. 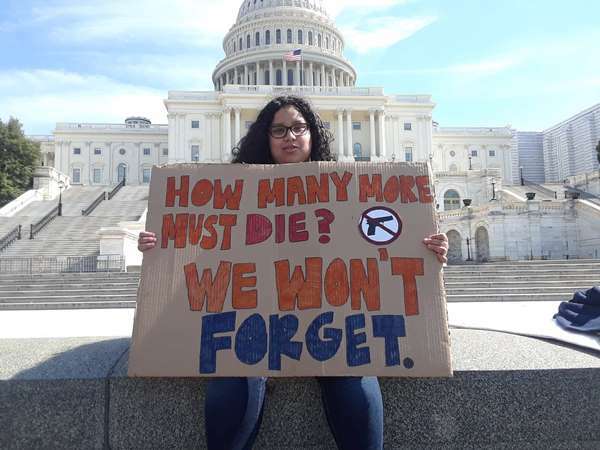 In these 10 months, there have also been hundreds of mass shootings in 2018 and 60 mass shootings already in 2019 in the US. Yes, these numbers are shocking, but they are an everyday reality of life in America. These numbers are testament to the fact that gun violence in the US is pervasive. It is thus not wrong to suggest that mass shootings around the world, including the Christchurch mass shooting, are fundamentally inspired in design and in ideological impetus by the culture of mass shootings in the United States. Mass shootings have become a US export to the western world. 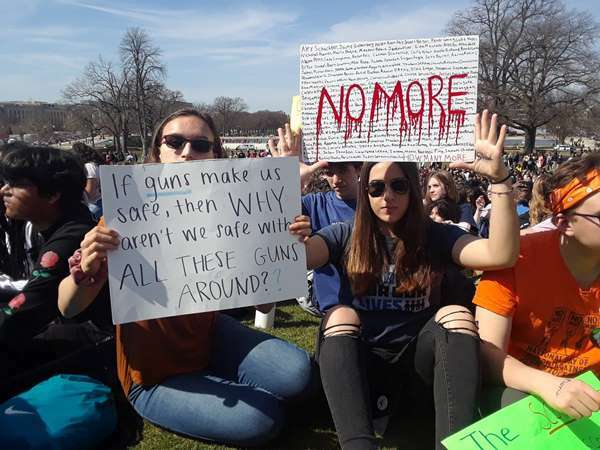 This is especially true because on one hand, even after nearly 40,000 lives are lost to gun violence in the US every year, barely any meaningful gun laws have been passed. On the other hand, within 24 hours of the Christchurch shooting, New Zealand Prime Minister Jacinda Ardern committed to reforming her country’s gun laws and banning semiautomatic rifles. Besides being motivated by Islamophobia, the Christchurch attack is a consequence of normalising weapons in everyday discourse. It is a consequence of mainstreaming weapons in violent video games, in toy guns, in movies, on television, and in conversations. The cost of this normalisation is a horrifying and an unaffordable cost to pay. This collective normalisation of firearms has desensitised us to their sheer lethality and has associated the concepts of power and dominance to guns. The most visible outcome of this desensitisation is that even semiautomatic combat assault rifles, like those used in the Christchurch shooting, have entered mainstream civilian social fabric. While we must urgently respond to this normalisation of guns, we must also call mass shootings for what they are – they are domestic terrorism of the West. We must also call white supremacy and religious bigotry like Islamophobia for what they are – they are domestic terrorism of the West. It is terrorism for the simplest reason that from the moment the victims of the Christchurch mosques heard the sound of the first gunshot, to the moment they saw the barrel of the gun pointed in their direction, and the moment when the first gunshot wound pierced through their body, their most profound emotion was of nothing but bone-chilling terror. In all those moments, the victims must have felt terrorised to their core. The Christchurch victims felt terrorised the same way as the victims of the Quebec City Mosque shooting, the Pittsburgh Synagogue shooting, the Charleston Church shooting, and the Oak Creek Sikh Temple shooting felt terrorised. The Christchurch victims felt terrorised the same way Sabika felt when she ran to hide in the closet after she saw the gunman enter her classroom. What she felt in the moments right before she was shot was terror. The exact moment when the Christchurch victims, like Sabika, found that they will never return home and never see their families again, was a moment of agonising pain and terror. In the last 10 months, I have met many survivors of mass shootings in the United States. One of them is Aalayah Eastmond, a 17-year-old student who hid under the dead body of her classmate as the gunman continued to shoot through her classroom during the Parkland school shooting last year. 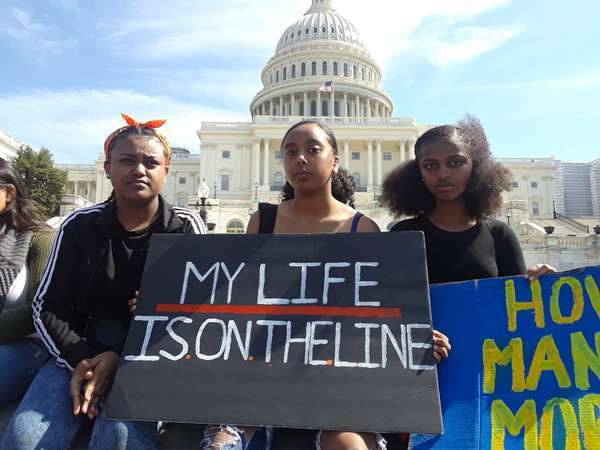 For Aalayah, the terror she felt in that moment – not knowing if she would be shot next – is still as fresh as it was on the day of the shooting. Like Aalayah, the 47 survivors of the Christchurch shooting did not die, but they almost tasted death. The terror they felt in those moments will live with them for the rest of their lives. Since Sabika’s murder, I have also met families of countless victims of gun violence in the US. Some of these victims were killed two decades ago, but when I talked to their family members, I could hear the terror they still feel when they recall the mental torture their loved ones must have experienced before being shot to death. From my personal experience as a family member of Sabika, a mass shooting victim, I know that this terror will stay with family members of the Christchurch victims for the rest of their lives. I know this terror will alter the way they see life and death. I know it will take them many days, many nights, many weeks of many months and many years to come to terms with this brutality. I know how on some days they will struggle to accept that this happened, and on other days, they will struggle to accept why this happened. 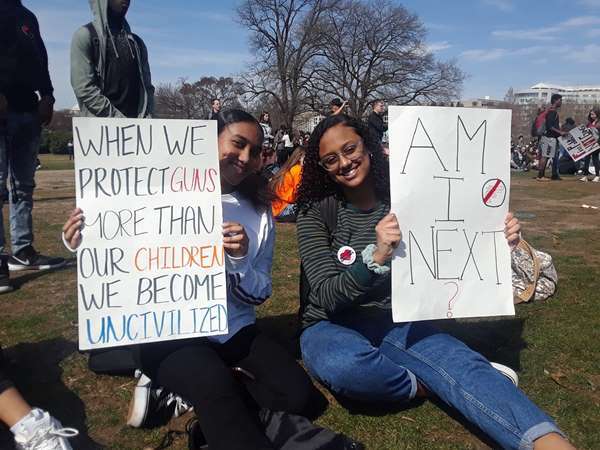 In the rallies and protests against gun violence I have attended, I noticed a recurrent theme. People from the communities where mass shootings had happened often mention how they now feel terrorised by regular things, like a loud sound, or sitting in the classroom or going to their places of worship. This constant sense of terror and anxiety has almost permanently taken away from these communities their sense of peace, and given them a sense of hyper vigilance. The Muslim community, not just in Christchurch and not just in New Zealand but across the western world, continues to feel terrorised by this attack. We must therefore call this attack by its name: terrorism. Refusal to use the term ‘terrorism’ for the epidemics – of mass shootings, neo-Nazism, xenophobia, racism, and religious bigotry – plaguing western societies is ignorance to the severity of the most fundamental narratives of hate which inspire this violence. Refusal to associate the term ‘terrorism’ with these uniquely western epidemics provides a nursery for these extremist cults to thrive. We saw this with the Santa Fe shooter who killed Sabika. He followed the work of a musician who had a neo-Nazi fan base and he wore neo-Nazi insignia to school on the day of the shooting. We also saw this with the Christchurch shooter, who praised US President Donald Trump for renewing the sense of white identity and who drew direct inspiration from a Norwegian white supremacist and mass murderer. For too long, the West has used the words such as ‘lone wolf’ and ‘mentally deranged individual’ to address mass shooters. This must change, because these mass shooters are not acting alone and this is not mental illness. These mass murderers receive ideological fodder from globally organised structures of anti-Muslim, anti-immigrant, anti-black and anti-Jew white nationalism and alt-right identitarianism. This was rightly identified by Prime Minister Ardern, who said the Christchurch attack can only be described as a terrorist attack. Those who still refuse to call the Christchurch attack ‘terrorism’ must ask themselves a difficult question: is the blood of victims of white extremists less red?